Digital Heroin: How Screen Time Is Affecting Kids #Infographic ~ Visualistan '+g+"
Remember when your mom used to warn you about watching too much television, that it would rot your brain and make you go blind? Turns out mom may have been on to something. Research shows we are all staring at screens entirely too much, and not only is it very likely leading to an increase in digital eye strain, it could also be addictive. Staring at screens all day causes you not to blink, and when you don’t blink your eyes get dried out and tired. If you don’t address the problem immediately you could end up with permanent damage. Researchers have also recently found that screen-related things like video games can cause the same brain activity as cocaine, leading to a potential for addiction. With all the screens out there and the dramatically increasing time during which we use them, it’s important to be informed about the potential side effects and how to mitigate the consequences. 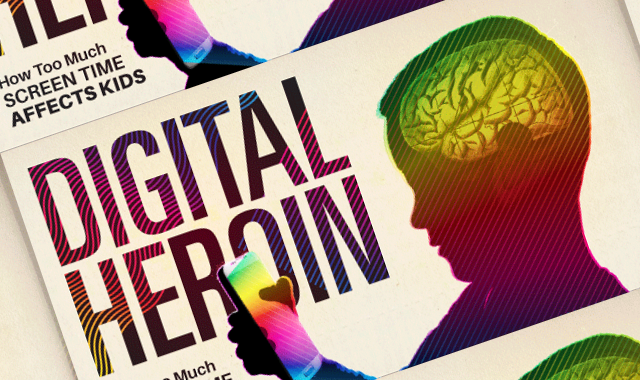 Learn more about the addictive qualities of digital screens from this infographic!